When you record on location, your primary goal is simply to capture the moment perfectly. The A/D converters of the AX32 are as clean and transparent as it gets. And if you add the mic preamp input card, you get some of the cleanest preamps you could ever find. Essentially it’s like a WYHIWYG solution – What You Hear Is What You Get! 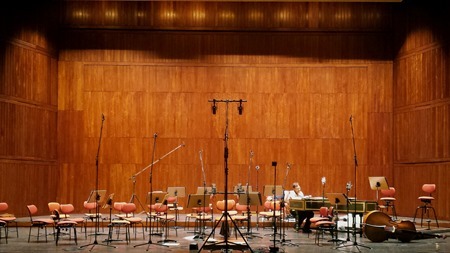 The strong focus on clean and super transparent audio capturing is often associated with classical productions where a main AB microphone scenario is the backbone of the production. Various room mics and maybe even a few close-microphone signals are part of the mix, but overall the objective is to capture the sound 'in the room' as accurately as possible. Obviously, this may well be just as relevant and desirable for pop, rock, blues, jazz, etc. recordings, but in these cases close miking and multi-track recording is a more common scenario. That, however, doesn't make the importance of the best possible AD conversion any less relevant. 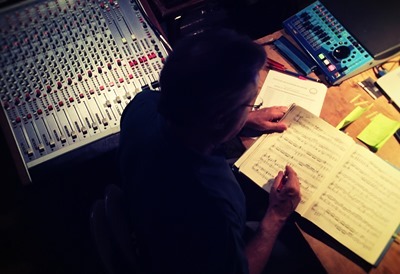 Converting volt to bits, which is basically what happens when you pick up a sound source from a microphone and passes it on to enter the digital domain, is not a task that should be taken lightly. And while it may not be rocket science, it definitely involves science and is every bit as complex. If you want to learn more about the underlying technology, please read some of our articles and white papers in our Tech Talk section. In between the microphones actually capturing the audio and the A/D converter, there is a preamp stage. You can use any analog preamp and pass it on to one of our converters, but if 'clean and transparent' is what you're looking for, our A/D card for the AX32 holds 8 pristine mic preamps that make absolutely certain that your audio is passed on without any coloration whatsoever. There coulc be cases where you actually want to deliberately add color to your signal - e.g. 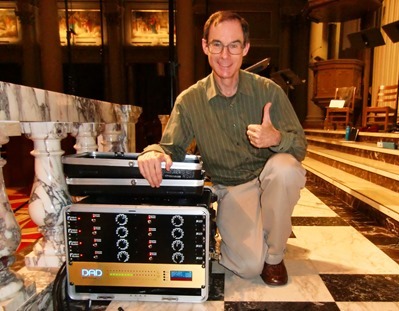 using tube preamps - and in that case, our preamps are not the answer. There is no harm, however, in inserting a tube preamp for tonal flavor between the microphone and our A/D conversion stage.